It’s the 11th and I thought I’d be bowing in my beautiful official Turn It Around tee-shirt. I even ironed one of them for the occasion. Instead I grabbed Ed’s oversize raincoat since mine was nowhere to be found. “You’re slowing down the planet. All this technology is making us spin out of control.” said a tall, thoughtful, kind-faced man after reading the text on my banner. “It’s very gracious what you’re doing,and artistic. I like the gentle shade of blue,” he added. I’m Julia. I’m Mark. We shook hands and he was gone, but what he gave me was enough sustenance for the next few months of bowing. This monthly job I volunteered for is rewarding in itself. I tell myself it doesn’t really matter if anyone stops to say hi. But it does. Encouragement encourages. I think we all need it. It takes so little to do that for someone else. A word, a nod, a smile. It takes so little and it can make such a difference. Thank you, Mark, for the encouragement. How would you like to be encouraged these days? Is there someone among your friends or loved ones who could use a kind word? Wonderful, Julia. Encouragement encourages. Yes. I feel encouraged when people generously applaud my good things – showing generosity to myself and others, etc. and gently point out areas that could improve. I felt the experience encouraging others when the monthly youth group that meets at our home and I visited a senior home where we knew one of the residents as a service project this last week. The people there were so happy to have people come see them, talk to them, interact with them, remind them they are magnificent creations. A wonderful experience. “Encouragement Encourages” – What a beautiful phrase !! At the moment, I agree with this phrase for every aspect of my life, except for baby making. And this is my true feeling. Feels odd to say this. When I feel like someone encourages me or comforts me saying “You will have a baby”, I feel agitated & irritated, instead of feeling encouraged. This is obviously a big orphan. If someone in fertile heart community says that then I take it really as encouragement, but if it comes from any of my friends at the moment or even my own parents, I won’t appreciate it much. Yes if I say it to myself, again I will take it seriously. Why am I biased even when my loved ones mention it very genuinely? This feeling keeps changing, sometimes i appreciate, most times I get frustrated. May be I am confused between encouragement & sympathy as I hate if someone sympathizes with me. I would love encouragement from my loved ones to say they see a clear difference in my attitude with whatever work I have been doing but I will not appreciate any unsolicited encouragement towards baby making. I am confused Julia, I am not sure if this is good or bad but its my genuine feeling at the moment. we express our true feelings, how can it be “bad,” to know ourselves and respecting our own Truth? Thank you, S. and thank you everyone for your comments. I always very much appreciate your responses, forgive me for not replying as often as I would like to. I can’t injure friends but I do that a lot to my mom, poor mom she doesn’t get why I react that way. But that’s another thing I am on my way to improve, not to let my orphan takes its grudge on others :-)……once again had I not known fertileheart, I wouldn’t have known a way to express my feelings, acknowledge them and take a visionary rooted action. Thanks for being in our lives Julia ! We are really glad to have found you as this work has a profound impact on our lives! Encouragement means so much esp when you have a heavy heart. I love your bowing project. Thank you Julia for your encouragement and all that you do for our community and the greater human community. Thank you also for your deep respect for us women, our bodies, and our souls. Very few fertility helpers out there actually encourage, respect, love, and empower. Your work is so valuable. Each day I am discover new blessings. 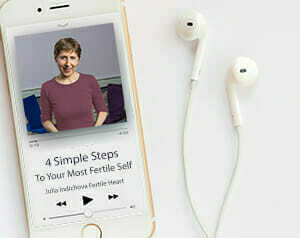 Julia- just reading this blog and being a member of the Fertile Heart ” family” gives me encouragement. A year ago today I was starting the IVF rollercoaster of meds, visits, heartbreak, disappointment, and grief. If someone had told me that one year later I would be flying to New York filled with excitement and nervous energy to attend a workshop led by an amazing woman with whom I feel I have this incredible connection (and whom I have never met in person) I would not have understood it. 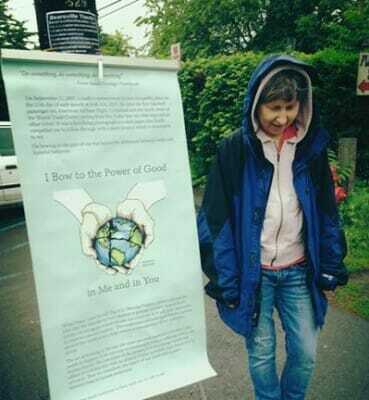 Along this path I have met women who have shown me the true meaning of kindness, understanding, and compassion. I have also met someone I consider to be my soul sister ( Lori)who encourages me daily. I consider myself blessed by having been on this journey to met my not-yet- born child. My path to my baby has not been what I thought it would be but my life is better for having had to start a different path. I wish everyone on this path encouragement. I wish blessings for all the lovely ladies in this community. I know we could all use kind words and I think this community is where not only hear the words but experience them as well. You are right encouragement encourages, and it takes so little but makes such a profound difference.Thank you, Julia, for the encouragement. Counting down the days til June 29th.